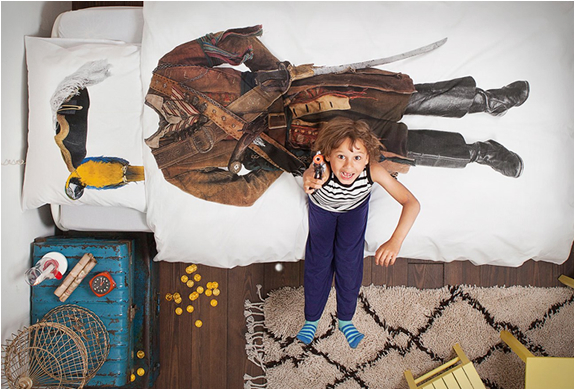 Remember the awesome "Astronaut Duvet Cover” and the "Firefighter Duvet Cover” we featured? 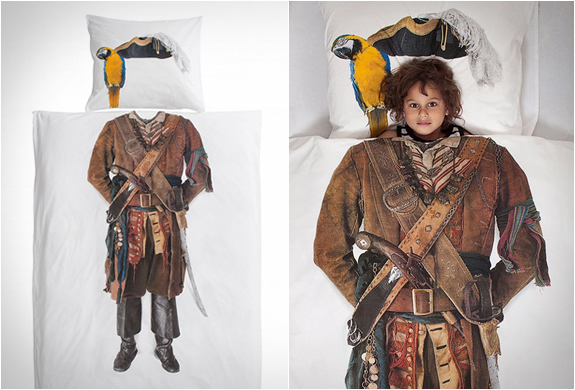 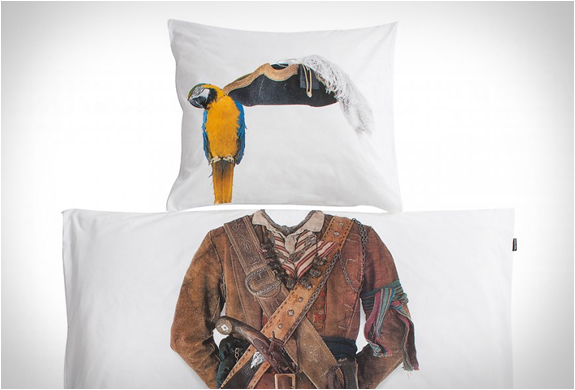 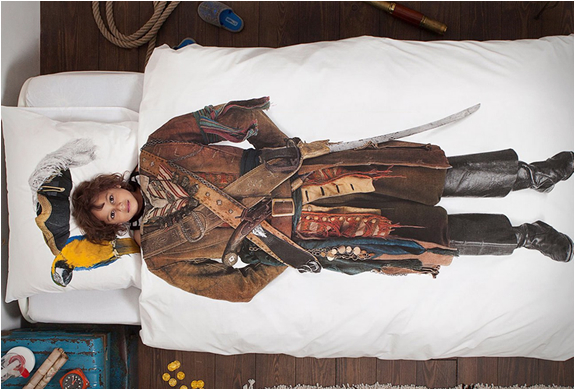 Snurk, the Dutch brand that sells these creative bedding sets have released the charming "Pirate Duvet Cover”, printed with a very realistic Pirate jacket, hat, boots, weapons and a parrot. 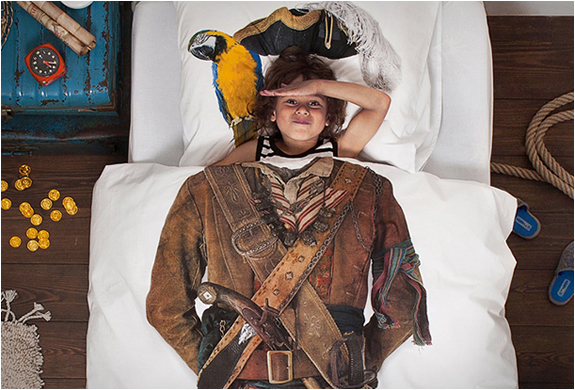 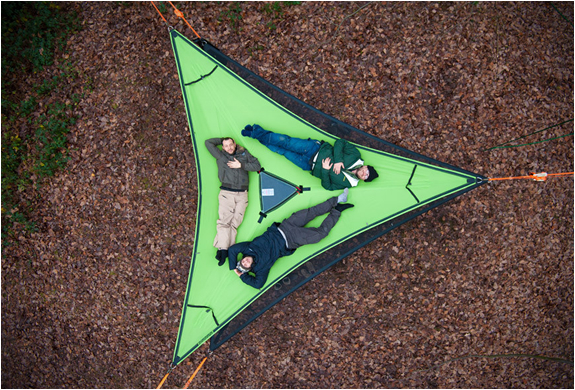 Your child´s dream of becoming a Pirate will practically come true…arrr!